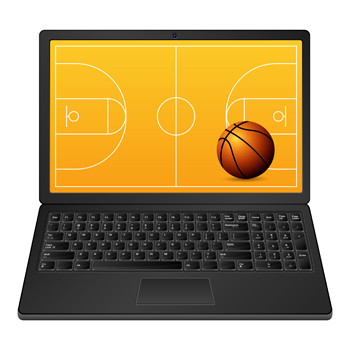 CIO March Madness: In It To Win It! | Blue Mountain Data Systems Inc.
CIO March Madness: In It To Win It! March 17th is right around the corner, and it sparks the beginning of March Madness. Aptly referred to as “The Big Dance,” sports fans from all over will tune in to see their favorite teams advance to the Elite Eight, the Final Four, and close in for the selection of the champion. Ticketing System – These systems aren’t just about triaging problems; they’re about collecting data fundamental to the health of your organization. Project Management – When you want to be proactive about getting things done, you need a project management system. Ideally, a good project management system is going to be integrated with your ticketing system. Time Tracking – To manage your organization’s resources efficiently, you need visibility into how your staff members are using their time. The system needs to be really easy to use. Integration With Cloud Apps – Ask the right questions to secure the right vendors. You want to make sure that you can get to the data you need through whatever published APIs they offer. Analytics – The point of gathering data is to perform analytics to inform your decisions and confirm the effect of those decisions. You want to make sure you can measure with data so you’re not just going on gut. Endpoint Integration and Remote Monitoring – You need a highly scalable, cloud-based remote monitoring tool to monitor the health of your end points. Security – You want to have a good intrusion detection system in place and you want to have policies with your ISP where you’re protection yourself against those intrusions. Management / Leadership – Finally, you need good leadership to bring all the elements together. This person is the champion of IT. For more ways to bring your IT organization to victory, read the full CIO slideshow.